It doesn’t matter how old you are, where you come from, or even how long you’ve been freelancing: If a freelance writer produces great work on a timely basis, content managers and editors will work with them again and again. The first step in showing off that work is building an excellent portfolio. But before you start picking out colors or considering which pieces to choose, you’ll need to understand what kind of format to use and where your portfolio should live. 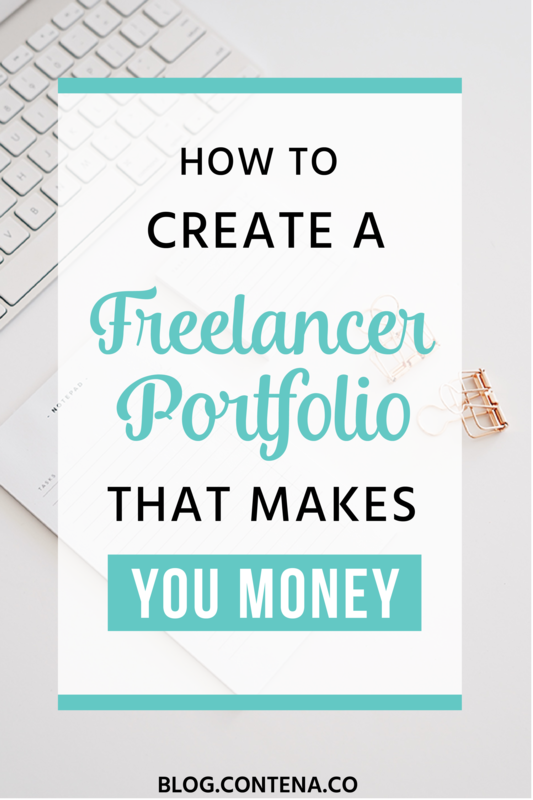 And if right now you’re thinking, “Well, that all sounds nice, but I’m brand new to freelance writing – I don’t even have any previous work!” Don’t worry – I’m going to explain exactly how you can still create an impressive portfolio. How do I start a portfolio? If you’ve never had a freelance writing portfolio before, your first step is to decide how and where to create one. The ideal place for your portfolio is your own personal website. This is the home base of your business, where you can also share some history about yourself and some information about your services. But the main reason most prospects will be visiting your site is to see your actual work. The work is the main attraction. There’s not much you can do to win over potential writing clients if your portfolio isn’t good. You can also host your portfolio on some creative showcase websites – Behance and Journo are popular. 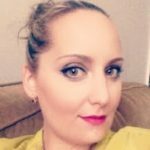 If you’ve got a LinkedIn account (and you should! ), you can add previous projects right to your profile. However, it’s usually best to keep your primary portfolio on a website you control. This option gives you the most control over the look and feel of your portfolio. It also shows that you’re serious about your brand. And don’t freak out about not understanding how to design or code a portfolio from scratch. There are some easy-to-use WordPress themes that can make an awesome portfolio with a bit of drag-and-drop intuition. Remember that making a portfolio on your own website and using a portfolio directory aren’t mutually exclusive. If you have a website portfolio, it’s totally fine to have a copy of it on a portfolio site – in fact, you should! It won’t hurt to have a PDF copy of the portfolio either, in case you need to send it through email. But the ultimate goal for formatting is to have a good-looking, easy-to-access portfolio on a site you own. Once you know where your portfolio will live, the next step is deciding what actually goes in the portfolio. The easy answer to the question, “Which pieces should I put in my portfolio?” is: Your best work! This is the first and most important criteria for selection. If one or more of your past works jump out at you for quality, go ahead and put those in first. The second criteria is diversity. There are many types of writing work out there: Blog posts, eBooks, white papers, brochures, marketing emails, websites, etc. You want to show the people viewing your portfolio that you can handle several different types of assignments successfully. It lends to your credibility and makes you seem more experienced. As far as quantity: You don’t need as many samples as an art portfolio (Twelve is too many), but you want to display as wide a range of work as possible. Shoot for a minimum of four. When you get to around eight, start thinking about removing old pieces as you add new ones (more on this below). One more word on selecting portfolio items. The absolute best type of item for your portfolio is a published piece that you can include a live link to. This shows clients that you are actively working and have written professionally in the last several years. Plus, the written words of a blog post or website look much more impressive when they are live with design, functioning links, etc. If you’re brand new to freelance writing, the above section doesn’t apply to you, since you don’t have any clips to choose from. In these situations, there’s only one thing to do: make some! Publish your own work – In the open internet era, you don’t need clients to share your writing with the world. Pick a topic you are interested in or a niche you want to focus on, and get to writing! If you are really passionate about a subject and have a lot to say, consider starting a blog and contributing to it regularly. Offer to write for free – Don’t go overboard with this approach – it’s not smart to get into the habit of giving away a service you need to make money from. But if you are just starting out, there’s no harm in emailing or calling a few businesses you are interested in and seeing if they would let you write a brief article or some website copy. Some will even advocate writing these pieces in advance, then reach out to the business once they are done. That’s a viable approach, but it’s best if the company is on board. This way, you can display them as your very first client! Friends, family members, and previous colleagues who have businesses are a great place to start if you go this route. A company has almost nothing to lose by letting a writer create free content for them, but plenty to gain – shrewd business owners will take you up on your offer. There’s no hard-and-fast rule here – it depends on how much you are working and the type of writing you are doing. Personally, I try to look back at my portfolio every time I complete an assignment that I am particularly proud of. If you just finished working on something and you think you knocked it out of the park, go ahead and figure out a way to incorporate it into your portfolio. Otherwise, make an effort to update or at least re-evaluate your portfolio every 3 to 6 months. In the early stages of your career, as you gather your first few clips, it’s okay to update it more often than that. It’s certainly not the only thing that will get you work as a freelance writer – you also have to be communicative, personable, and able to meet deadlines. But having a strong portfolio can set you apart from competing writers and open the door to some amazing professional opportunities. Start where you are, choose your best pieces, and update it frequently, and you’ll find that your portfolio can be a real asset as a freelance writer.